Distribution: it is found from the Mediterranean Sea, through Anatolia to Turkestan and India. 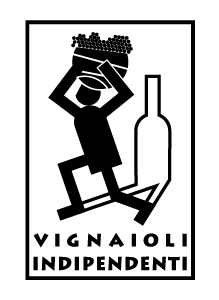 In Italy it is a rare species and the quantities are decreased. His remarks refer to the southern coasts of the Peninsula. In the territory flies in dry, sandy hills. 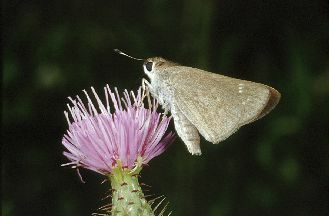 Description: the Nostradamus butterfly is dark brown, base smoky black ; inner margin of the hind wing paler than the ground colour, and a few white dots on the fore wing in the female. Underside is pale brown, with some obscure white spots towards the tip of the fore wing, and in the female at the hind-margin of the hind wing also. Wingspan : 15-16mm. Biology: adults are on wing from May to October in multiple generations. The larvae feed on various grasses, including Gramineae, Aeluropus (in the Sinai desert) and Panicum species. The farm Ausonia is located in Atri and consists of 12 hectares of vineyard and about 400 olive trees. The whole company, consisting of a single body, is located at 270 s.l.m protected to the West by the Gran Sasso and exposed to the East, to the positive effects of the Adriatic Sea. The farm applies a grape-growing attention to eco-sustainability, and in the course of 2013 has started the process of organic certification. The farm is surrounded by vineyards, and is equipped with the most modern technology for the vinification of the grapes, to the aging and storage of wine, remaining firmly convinced that a great wine requires grapes of the highest quality and a great human commitment. The production of the wines come exclusively from grapes of the property, being the only way to have a tight control on the quality of the grapes.